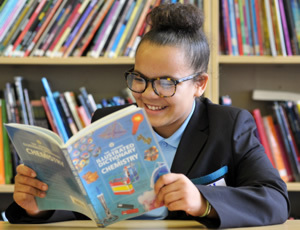 High Academic standards are central to our mission to provide the best possible education for all our pupils. 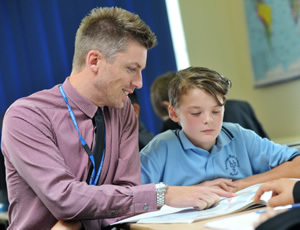 Our dedicated staff work hard to ensure that all pupils receive the challenge and support they need to excel. 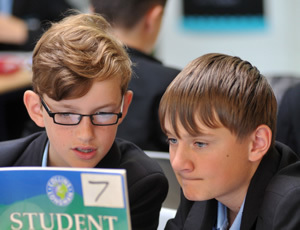 Our 2015-16 KS3 results place us well within the top 10% of schools in the country and we expect our first set of GCSE results to be just as strong. 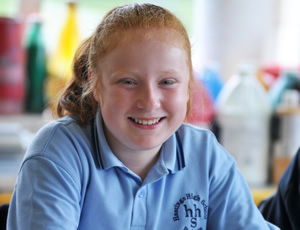 We achieve our results through high quality teaching, a consistent focus on excellent behaviour and through highly effective monitoring and support systems. We have high expectations for all our pupils but particularly for the most academically able. We use setting in most subjects to ensure that all pupils are stretched and challenged and we set demanding but achievable academic targets. We track pupil progress regularly. Any pupils identified as underperforming are then given extra support to catch up. Most of our staff have recent experience of teaching to GCSE level and all our Key Stage 4 staff are specialists, trained for the full 11-16 age range. Our Headteacher has 20 years’ experience working in very successful 11-16 schools and has been using his experience to develop our new Key Stage 4 curriculum and approach. Some pupils need extra help to flourish and we have a large team of staff to provide support to pupils with special educational needs. Our small size enables us to build excellent relationships with all the pupils in our care so that we can provide the highly individualised support that pupils deserve.